A short time ago I was pondering a regular client of mine and my continuing inability to persuade him to take up a Qigong practice. My client and friend admitted the usefulness of Qigong, but had difficulty getting to it, even after classes with me now and then. 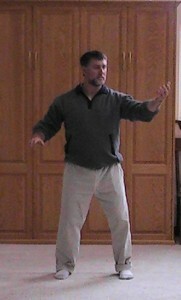 I am, I admit, adamant about the usefulness of Qigong in health, healing and personal growth. Yet I want to encourage people without being pushy. 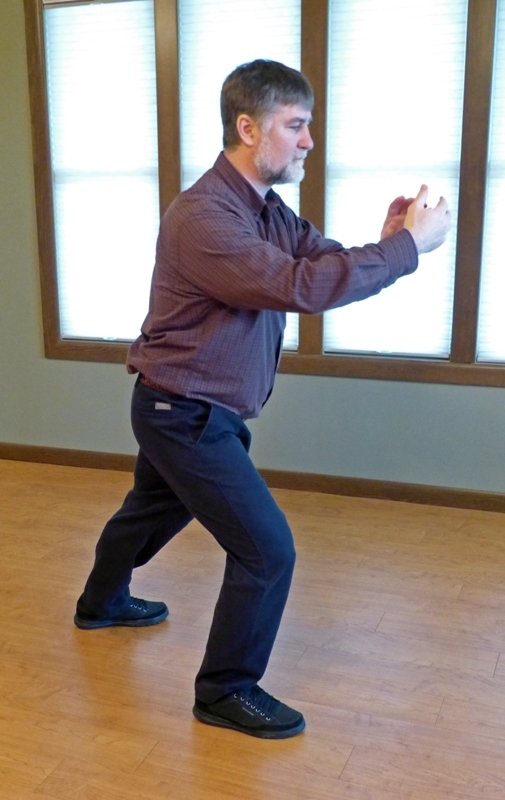 I encourage my healing clients to learn and practice some form of Qigong in order to support their healing process, to give them tools and some power over their own health. In my ongoing search to find ways to get people to practice this great and graceful self-healing art I keep searching for the code that will crack their resistance to practice. For my friend I realized that it just seemed like too much, too complicated, to add to an already busy life. If he–and so many other clients–can’t be persuaded to immerse themselves in a Qigong practice, I wondered, how can I shrink the idea down to something pure and small and possible, something that is at last graspable. The idea that came to me was to get him to find one basic Qigong exercise and commit to practicing just that one exercise. 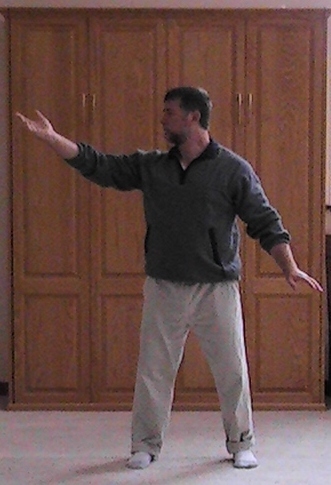 To successfully integrate Qigong into your life, pick one simple exercise and do it every day for many repetitions. Select just one move or one basic exercise, something that is easy to remember and easy to do. 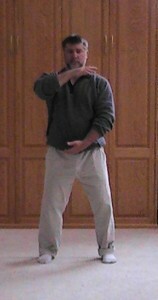 Say, Qi Rocking from Five Flowers Set, Waking the Breath from Five Flows Set, Swimming Dragon, The Marriage of Heaven and Earth, Golden Ball (8 Actions of Qi), or Awakening the Qi (Taiji Start) from Shibashi. There are many, many other possibilities. 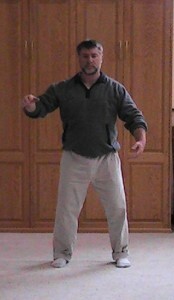 If you already have learned some Qigong, you might have a movement just right for this strategy. • It is easy to get started on. If it is too complex you may decide to forgo practice on tired days. • It is easy to continue. • Uses whole body engagement. • Has slow, rhythmic motion. • Has gentle motions aligned with inhaling and exhaling. Make sure you get your basic practice in before doing other practices. 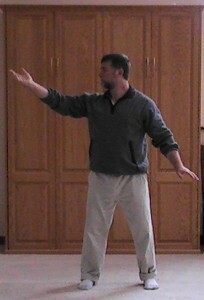 You can do more Qigong or Taiji or anything else, after you get your requisite number of reps in. Find a minimum amount that you believe you can do, and that you will be able to feel being effective in your body. 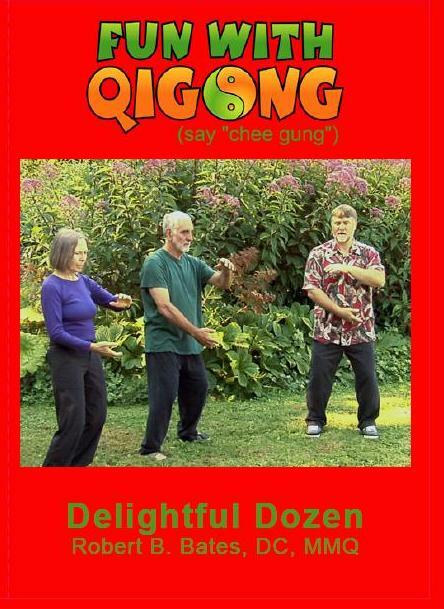 Even five minutes of focused Qigong can make a positive difference in your health. More than this is better if you can swing it. You can choose to practice for a certain number of minutes or a minimum number of repetitions, depending upon the exercise. Counting reps by time is a smart way to practice. If you want to perform many reps it is easiest to count how many reps you can do per minute. Then just multiply the minutes. If you do a movement six times a minute, then 10 minutes of practice will get you sixty repetitions. As you are practicing, glance at the clock once in a while to keep track (or have a gentle alarm tell you when to finish). Commit to a month, or 100 days, or even a full year. For each successful day of practice, mark it on a calendar of some sort. Give yourself a check for each win. Moving very slowly, sense and feel with your body. Notice the spaces and the flows. Feel the Qi as you drop into the pattern of motion. Find just the right speed to feel the most. It is probably pretty slow. If you go just kind-of-slow you are probably too fast. You are probably thinking more than feeling. 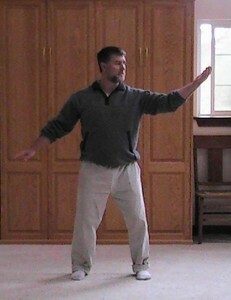 Being mental in Qigong prevents the big Qi. It only gives small Qi. 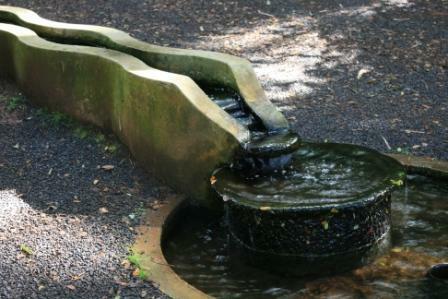 A particular level of slowness synchs with the moves and sensations and creates the big flows of Qi. The big flows of Qi, which you can learn to feel within a short time, have maximal healing potential. Practicing in a little Qi way might not do you much good. Practice the heck, hell, and heaven out of it. Enjoy that one beautiful movement: repeated, resolved, refined and deepened. Make that movement your movement, learned from the outside in, from the bottom up, and from the physical to the energetic. Let it lead you to feeling better, thinking better, and being better. Here for example is one exercise you can repeat and repeat daily.